If you haven’t seen it, you’re missing out! 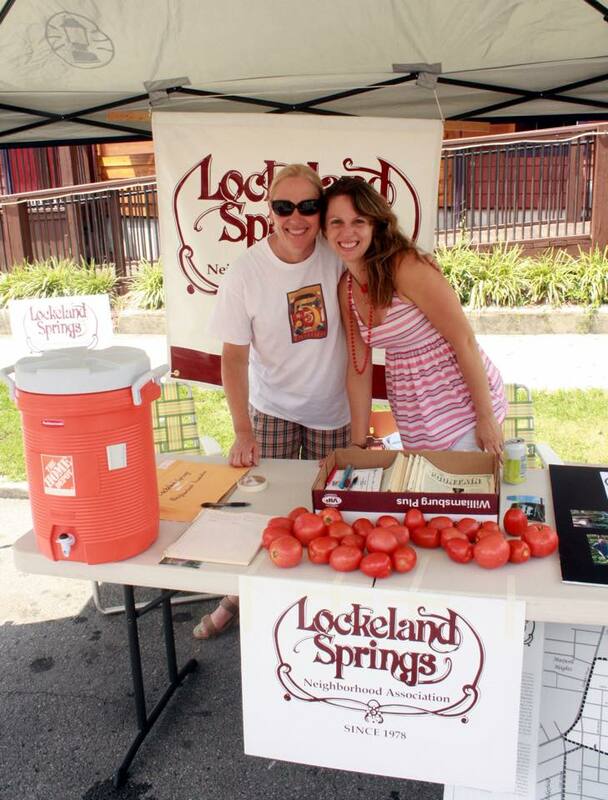 The new lockelandsprings.org could make the case as one of the coolest and most informative neighborhood pages around. From the superb aerial photography of the neighborhood (more on that in a moment) to convenient links to Metro agencies and civic information — as well as access to back issues of the newsletter — it’s a vibrant testament to Lockeland Springs. And if you haven’t heard the full backstory, it’s worth putting into the record. It’s true that in spring 2015, the website was hacked. What they wanted with the LSNA, we may never know, but as has happened with other local institutions, service was interrupted for a few months. Enter webmaster and board member Kevin Wisniewski. He bore the brunt of questions about when the website would be back. After some behind-the-scenes wrangling, he debuted a website this fall that goes far beyond expectations. The aforementioned photos are thanks to Aerial Innovations, which sent up a drone for a short flight to capture what will likely be lasting images of the area. The new website also means it’s easier than ever for LSNA to post news, meeting announcements, and other relevant local documents. Yes, that is a call for content! Send ideas to info@lockelandsprings.org. You might consider sharing information about upcoming events or photos that can be turned into galleries from important local events. Otherwise, it’s “no news is good news” about the website. No hack attack in 210 days. And counting. Check out our gallery of neighborhood photos from the snowfall on January 22, 2016. It’s that time of year to submit your LSNA grant applications. The Lockeland Springs Neighborhood Association started its grant program in 2014 and it has been hugely successful in providing funds to many amazing projects going on in the neighborhood. The factors that the Board considers in awarding the grant are: (1) building community; (2) beautification; (3) education; and (4) safety. If you have an idea for a grant application, please submit it by April 30, 2016 to: grants@lockelandsprings.org. Nearly 50 neighbors turned out to discuss the proposed plans to redevelop the church at Fatherland Ave. and N.17th St into a restaurant and boutique hotel. Councilman Brett Withers hosted the meeting at the Shelby Community Center on Wednesday night and explained various zoning options to the crowd. Developer John Donelson, who now owns the church, fielded a wide range of questions from the crowd but many expressed concerns about increased noise, traffic, and parking in the neighborhood. We began by welcoming Brett to the meeting as our CM. He then explained the history of the zoning at 17th and Fatherland as part of the 5 Points Redevelopment Plan and the current uses allowed in this location, which include many commercial enterprises. Brett pointed out that this conversation is one that we will likely have many more times since we have many churches in historic buildings that are gradually losing numbers and thus financial support. We have to ask ourselves, “do we think the building is worth preserving?” and “what concessions are we willing to make to the developer in order to get the things we want?”. District 6 Councilman Brett Withers, right. Q– if the Neighborhood Landmark is applied, does the current commercial zoning go away? A– No. the Landmark Overlay allows some control and limits on things like hours, signage, screening, etc. The base zoning remains in effect. Q– Are the public hearings genuine? Will the neighbors concerns be heard? A– Yes, neighborhood support is a part of the process. the Planning Commission will hold a public hearing and there will be a public hearing at City Council on the second reading. I (Brett) want to hear from neighbors before the plan goes to planning so that we can present an acceptable plan to them in the first place. Gina Emmanuel, architect for the project, explained the plan as it currently exists. The restaurant will be approximately 5000 square feet, there will be a roof deck with two offices that cannot be seen from the street per MHZ, and 10 boutique hotel rooms in the 1951 addition. 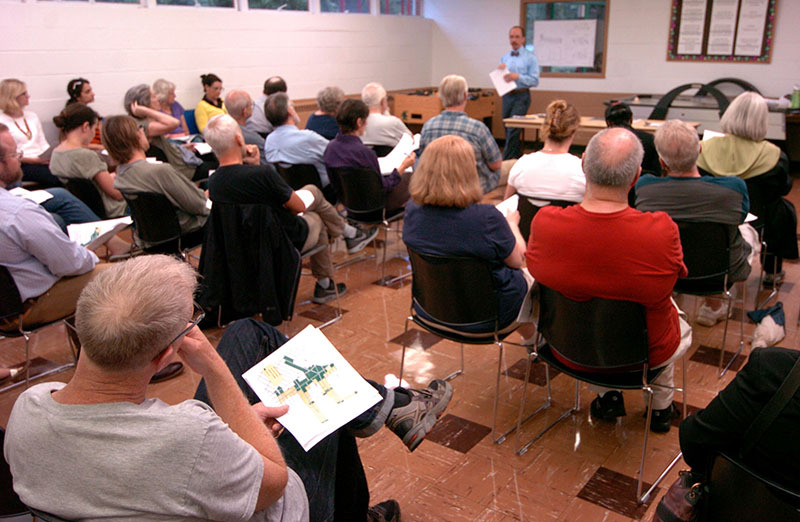 The event space was removed after two public meetings when the neighbors expressed concerns about this portion of the plan. In order to park this use, John Donelson has an agreement with the owner of the lot behind the church facing 17th. With the Neighborhood Landmark zoning tool, he can build a parking lot there with 16 spaces. It will be highly screened so that cars and car lights are not visible from the street. The lot will be environmentally friendly with some sort of pervious pavers. Church at Fatherland Ave. and N. 17th St.
Gina explained that current codes require a certain number of spaces for each use. The restaurant must have 32 spaces and the hotel must have 11 for a total of 43. Because the property is in an area with contiguous sidewalks and public transit, a 20% reduction is allowed by code. This reduces the number of spaces the developer is required to have to 35. If we subtract the 16 spaces they will build on the lot behind the church, that means they must have 19 additional spaces. John Donelson has reached an agreement with the church at 17th and Shelby for 25 spaces, exceeding the required number by 6 spaces. He is also in discussion with Liberty Baptist for an additional 20 spaces. Q-How are the spaces designated? Will a certain number be reserved for employees? Hotel guests? A-We are seeking the spaces at this point. We have not designated them yet, but that might be a next step. Q-Why did you eliminate the event space and not the restaurant? A (Elizabeth Smith)- the overwhelming response at the two previous meetings was that the event space would be too disruptive to the neighbors. Even if it is fewer days per month, the potential for serious noise problems is greater. The neighbors cited the problems with the two other similar spaces in Historic Edgefield and East End as evidence that this type of use in a residential area was unacceptable. Several people interjected here the problems that traffic and parking will bring no matter what growth occurs. Some complained about the narrowness of 17th at that corner and the current issues there, and Brett suggested that parking on only one side of the street could be mandated. Brett reminded the group that the questions the planning department will ask are, “can they park it?” and “is there community support?”. Gina explained that, although allowed to count two street spaces, they were not doing so. John Donelson explained that his discussions with planning have centered on parking. They prefer the Neighborhood Landmark because it allows the parking without a policy change. Brett reiterated that an SP would erase the base zoning and that the Neighborhood Landmark must have a use plan that stays with the property. If the conditions of the use plan change, the owner must go back to the planning department to work out the problem. So, if parking goes away the plan has to be revised. Some like the event space because the impact is more limited. Going over the plans after the meeting. Some think a restaurant of this size will be very disruptive in terms of traffic, parking, smells, etc. Some are very supportive of a restaurant and think it will add to the neighborhood. There did not seem to be any objection to the boutique hotel. Many like the idea and think it will have the least impact on the neighborhood. not bring traffic and parking problems to the corner. Overall, many neighbors fear a change in the culture of the street and want a use that will keep this change minimal. Some think that getting resident parking permits is a good idea. I express concern that this just pushes the problem out; it does not solve the problem. Some express support for the idea of bringing new people, and their dollars, into the neighborhood. Tourism is good for the city in more than just dollars. It brings new ideas and new people and that is a good thing. Neighbors don’t want to lose the ability to park in front of their homes. Some would like to see more hotel rooms. Is this inevitable or are there other options? Brett asked John what his timeline is. John would like to file his application within 30 days. He is ready to move forward but is willing to hear what neighbors say. Brett would like for neighbors to respond within two weeks at which time he will look at the responses and decide how to proceed. He will work through LSNA, but individuals are welcome to spread the word. This spring, the neighborhood board voted to give $650 grants to three organizations. We will profile each of the grant recipients in coming issues of The Fountain. 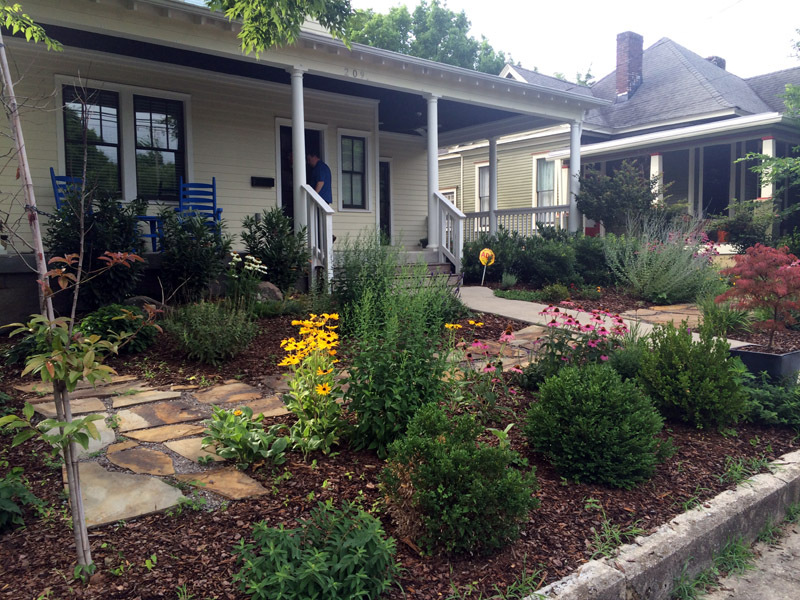 The second organization featured is the East Nashville Hope Exchange. This article was submitted by the non-profit. East Nashville Hope Exchange’s mission is to strengthen literacy of at-risk children in East Nashville. The exchange works with children from schools in the Stratford and Maplewood clusters. The exhange is grateful for the generosity of the LSNA grant to continue this work. Historically, we’ve served 42 first through third grade students and their families in a six-week Summer Program, staffed by certified teachers and community volunteers, that is designed to combat the “summer learning loss” that disproportionately affects low-income students. But in the summer of 2015, the exchange was excited to expand the program to include kindergarten and fourth grade students. Made possible by a partnership with Ross Early Learning Center, this expansion allowed the program to double in size to almost 80 students. Research shows that low-income students fall far behind their peers in language skills as early as 3 years of age, entering kindergarten already behind and increasingly struggling to read at grade level. Expanding our program allows us to intervene in literacy development early in our students’ educations and provide support over a greater period of time. Community members with diverse and inspiring backgrounds volunteer as daily guest readers, while other volunteers work one-on-one with students as reading buddies. Local artists and special guests visit to perform for students or share and engage on a variety of topics, such as government and sustainability. Finally, weekly family engagement events provide information on topics such as “How Literacy and Healthy Eating Are Connected,” and “Behavior Management Strategies.” Caregivers commit to reading 15 minutes with their student each day to reinforce good reading habits and instill an appreciation for reading at home. 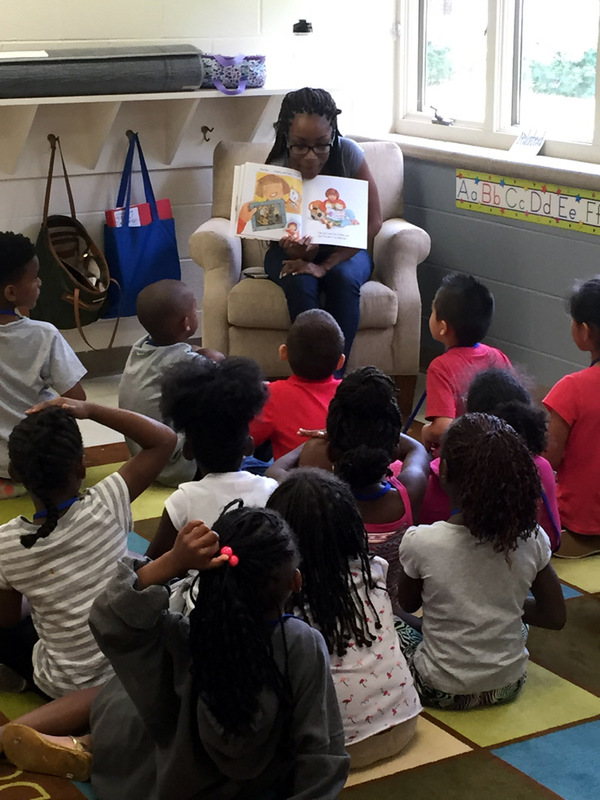 We were so grateful that students received a free book each day of the summer program, made possible by Flowerpot Press and First Book, to add to their home libraries — some 2,400 books were given to our students! Highlights from the 2015 Summer Program include such notable guest readers as Mayor Karl Dean, First Lady Crissy Haslam, the Metro Nashville Police Department Mounted Patrol, and staff members from the Nashville Predators Hockey Team. Owl’s Hill Nature Sanctuary and Plant the Seed TN led programs dedicated to Sustainability and the world around us, and students have enjoyed field trips to venues such as the Vanderbilt University Stadium, the Tennessee State Museum, and the Cumberland Water Park. Local artist Brandon Donahue worked with students to create the Silhouette Cypher art project, during which students creatively filled in life-sized outlines of themselves with images, colors, and symbols that represent how they see their place in the world. The Silhouette Cypher project is currently on display at St. Ann’s Episcopal Church. Visits from the Nashville Ballet, Nashville Public Library Puppet Truck, and the Street Theatre Co. help to round out programmatic focus on the connection between literacy and art. ENHE also hosts a School Year Program to provide our students and families with support year-round. This continues the work done in the intense six-week summer program. Monthly school-year workshops offer information for caregivers on literacy tools and behavioral management strategies, while children receive literacy instructions and complete an activity. The monthly workshops are supplemented by at-home visits and conversations with our students’ teachers and caregivers on a regular basis. Students in our program are just beginning to form their personal identities and find their place in their home, school, and community. This workshop focused on creating positive identities for our children by giving them increasing responsibility while providing support and encouragement as they grow more independent. Families talked about self-esteem and sense of purpose, while children were asked to think of positive outlooks for their future. Stress is an inevitable part of daily life, and the life of a student is especially stressful before and during testing. Families can manage stress surrounding test-taking specifically by talking with teachers before tests about how to prepare with your child, celebrating testing successes as a family, and setting realistic expectations for test results. Family members completed a timed sample test to understand the challenges and stress their children experience during these tests. Children perform much better at home, at school, and as community members when they know where their boundaries lie. Knowing exact boundaries and expectations encourages good behavior, and lets children know when they are doing well. Families talked about kidwriting (phonetic spelling), invented spelling, and spelling patterns and the role these play in a child’s learning to read. The neighborhood’s historic Ross School at 1310 Ordway Place will be occupied again soon after more than a year of vacancy. Nashville Classical Charter School — currently at the corner of 10th and Fatherland — has been approved for the site and has begun an interior renovation, according to school founder Charlie Friedman, who addressed the neighborhood association in February. A 1925 photo of the school, which is more than 100 years old, shows that little has changed. And Friedman said the plan is to keep it that way. “That beautiful, historic facade will look exactly the same,” he said. Friedman answered several questions that he said he’s heard lately. He anticipates a more efficient drop-off and pickup process compared to the Head Start program that had been at the building, and he said the city considers Nashville Classical’s current traffic pattern at Fatherland to be a model worth emulating. And he’s considering a way to make the playground that fronts 14th Avenue South available to the neighborhood, perhaps with a lock and access code. Friedman moved from Philadelphia three years ago and founded the school, which currently has 181 students in kindergarten and first grade, with plans to add a grade each year. The school on Ordway will house grades K-4 with a maximum of 325 students. The renovation, which includes bringing the building into codes compliance, will cost about $750,000. 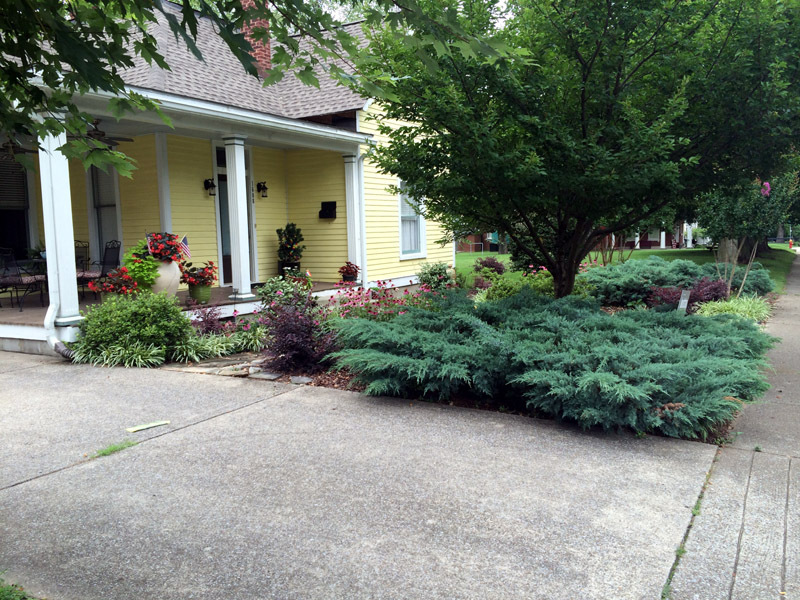 New this year, the LSNA Beautification Award recognizes and rewards property owners within Lockeland Springs for a beautiful front façade and/or outstanding landscaping or maintenance of the front yard within public view. Tell us about your “East Nashville Now!” podcast. After about 70 weeks of podcasting about Bitcoin, it only seemed natural to me to start a podcast that would be relevant to what I’m doing every day: Hanging out in East Nashville. I love East Nashville and see the good, the bad, and the ugly of what it is and what it’s becoming. What’s the good you see? It just feels like a small town. It doesn’t matter where you go, if you get around, you’re going to run into someone that you know. … You get to see people grow and evolve, just like you would see in a small town and not in a big city where you see people come and go, out of it. In East Nashville you see people evolve within it. How do you pick topics and interview subjects? I’m not going for a podcast about music in Music City I’m not going for a podcast about retail offerings and the best places to go shopping. And I’m not a restaurant review podcast either. But I am very interested in the off-the-beaten people and places. I am just incurably curious. If I see something that I’ve never seen before, or a person that is doing something that I’m not familiar with, I want to know what they’re doing. Maybe I’m just nosy. Diversity seems to interest you. I think really for me, I’m not pointedly trying to cast a light on the diversity, but the diversity is what interests me. I certainly don’t want to limit myself in terms of what type of people or what color of people, or what ilk, or genre of people, or socio-economic class of people that I interview. Maxwell [Barrett’s Siberian Husky] was just the natural one to be the podcast host. For 43 episodes he’s been my host. He usually is right there in the chair as I’m putting the show together … and right there in the room entertaining my guests as I interview. I want to show people things that they haven’t seen before. Introduce them to people and places that they didn’t imagine existed here. I do want to get into some of the nitty gritty of what’s going on here. So if you live just a block away from, you know, children who are hungry and malnourished, I think you’ll do better in your life to know that than to not know that. And you may have some way of helping that if you know that. Board members Kris Mumford and Annie Neal handing out free tomatoes at the LSNA booth. 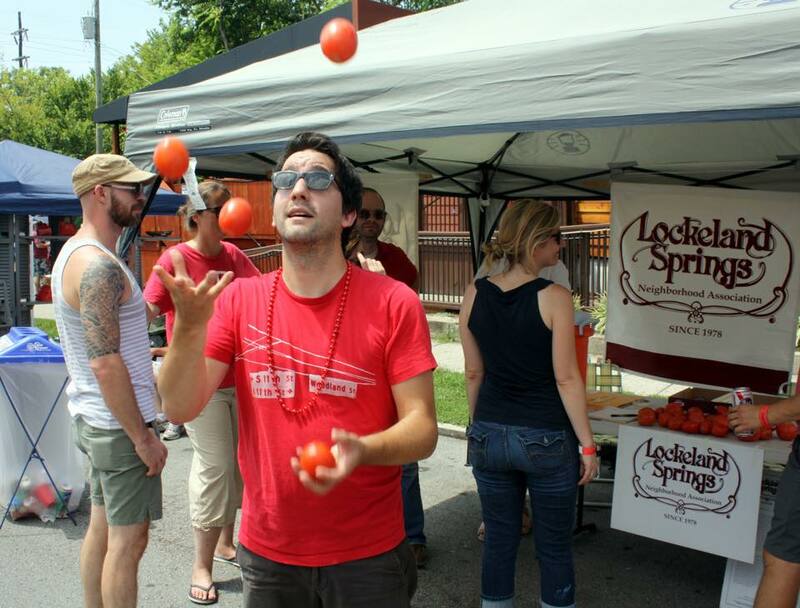 LSNA board member Tony Gonzalez juggles some fruit, or is it a vegetable? A great time was had by all at the LSNA booth during this year’s Tomato Festival. The LSNA was happy to meet many of our neighbors and many others that would like to be our neighbors. So many great things going on in the neighborhood. And for the first time we handed out free tomatoes to those who stopped by the booth. And a shout out to LSNA board member Tony Gonzalez for keeping the crowds entertained with his juggling. And a special thanks to board member Steven Swarts and Taylor Family Farms in Smyrna, TN for donating the tomatoes.